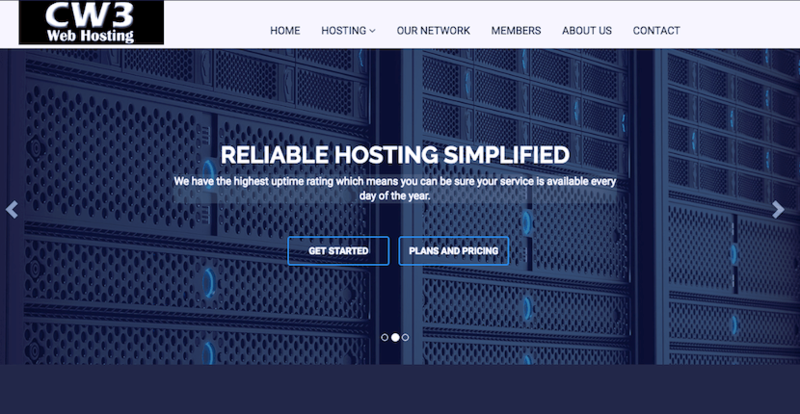 CW3 Web Hosting Review 2019: Is CW3 Web Hosting a Good Hosting? I signed up to CW3 Web Hosting, reviewed their unique features, tested how easy they are to use, checked with support on several issues, and tested the speed of the live site. When done, I tried to cancel my account and receive a refund. This is my experience with CW3 Web Hosting - I hope you can learn from it. CW3 Web Hosting is an American company with an office in New York and servers housed in a Californian data center. They’ve been in business since 2001 and have a strong focus on providing high-quality services and excellent uptime. They’ve won awards for their service and have over 140 clients. Their website and support are in English. CW3 Web Hosting offers a great selection of premium features for beginners. For instance, there’s the Softaculous one-click installer with an impressive 400 applications available, as well as a website builder tool with 200 ready-made templates. The website builder comes with demo options as well, so you can take a look at how the themes look before you install them on your website. Their plans seem to have been designed for beginner webmasters rather than more code-savvy users. However, they do provide support for PHP as well as all popular Linux languages, such as C, C++, Perl, Python, and Ruby. On top of that, their daily backup system will also cover your databases, so you can easily restore copies of these databases up to a week back should any mishaps occur. Their servers are mostly housed in a data center in California, though they’ve also expanded their infrastructure to include a data center in London, England. They use RAID servers for faster disk reading times and have an average uptime of 99.92% according to third party tests. Unfortunately, there doesn’t seem to be any SLA in place to guarantee a minimum uptime. Plus, as their servers are colocated, bear in mind that their response times to hardware and network issues could be slower and website loading speeds could see higher latencies as well. Overall, their prices are well within the market range. They certainly aren’t as cheap as their bigger competitors, but they still offer decent value for money. For instance, their second plan, Lite 1, comes with 40GB of bandwidth and 2.5GB of disk space, which should be adequate for most small websites. They offer their plans in one, three, six, and twelve month terms. You get discounts when you purchase a longer term and annual plans benefit from a free domain. Upon checkout, you can customize your plan by adding dedicated IP addresses, extra disk space, and extra monthly bandwidth. You can upgrade or downgrade at any time. While they don’t have a money back guarantee available, if you’ve purchased an annual contract, you can request a refund for the unused months of your contract provided you’ve given notice by the 25th of the previous month. They offer 24/7 customer support by email and ticket, though their telephone support line only seems to be open during business hours from Monday through Saturday. They also have a useful knowledge base, help center, and server status page, as well as many social media channels. While not the biggest or the best-equipped in their infrastructure, CW3 Web Hosting offers solid hosting products for small businesses. Larger or rapidly-growing websites, however, may find scalability an issue with this host. Check out Cw3 Web Hosting’s web hosting options today! Wondering how CW3 Web Hosting stacks up against other Web Hosting companies? Enter any other Web Hosting company and we will give you a side-by-side comparison.